I’ve been pinning recipes for various things on Pinterest, but that’s of little use unless you take initiative and make those recipes. I decided to do just that! I should begin by saying I generally struggle to eat breakfast. It’s been a bit of an issue with me for years, and I’m trying to change that. Lately I’ve had no issue eating breakfast – but that’s entirely due to Bob’s tempting sourdough bread. And eating bread every morning, while delicious, isn’t necessarily the best breakfast option. 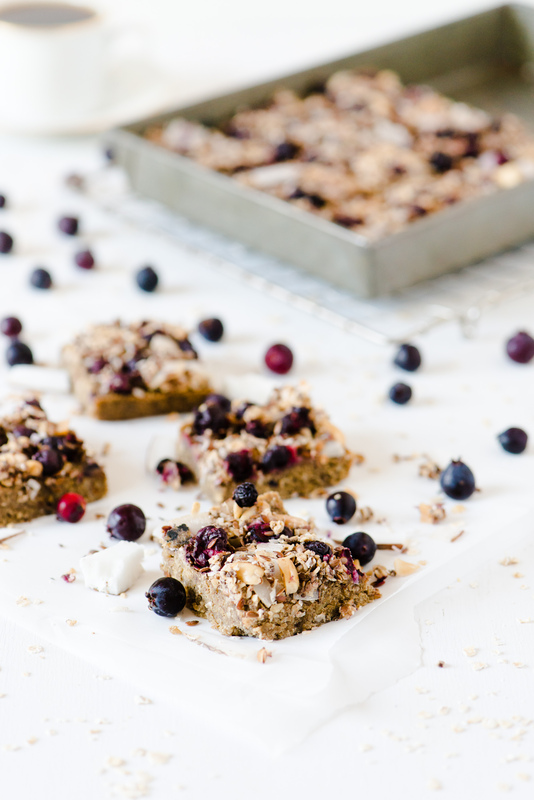 Enter, breakfast bars! After making our beautiful almond cake this past Friday, we cleaned the kitchen spotlessly. Immediately after, I decided to make breakfast bars as well. After all, the oven was hot, and it was a cool summer night. Why waste that opportunity? It was especially tempting because Bob’s mother had dropped by some plump, sweet Saskatoon berries for us earlier that evening. Normally, Saskatoon berries are enjoyable, but these ones were exceptionally tasty. We had to put them to use! 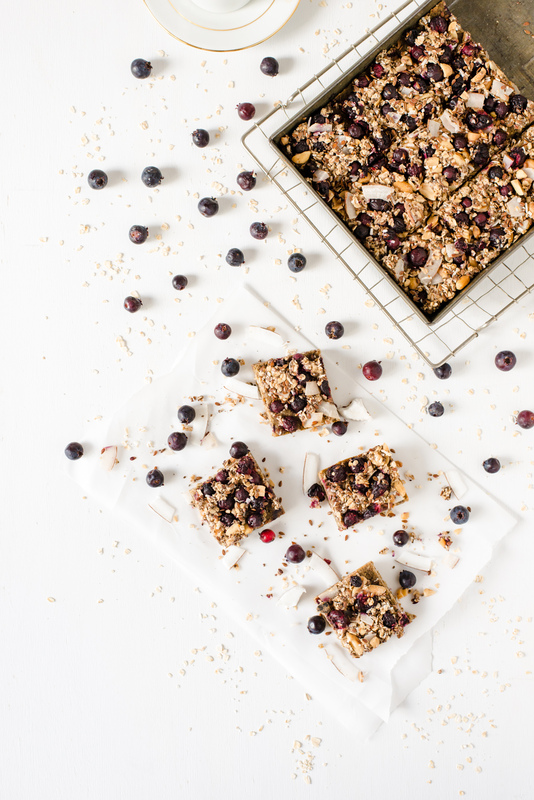 Nutritious breakfast bars, perfect for those on-the-run mornings. Line 9x9 pan with parchment paper, grease with coconut oil. Combine ingredients in food processor, processing until combined and wet, about 2 minutes. Pour into pan, spreading evenly across. Combine ingredients in bowl, stirring to combine. Remove pan from oven, spread topping on base. Baking an additional 15 minutes. We decided to adjust a recipe found online, using what was on hand. Having used most of our almonds ten minutes prior, I used peanuts for our base instead of slivered almonds. 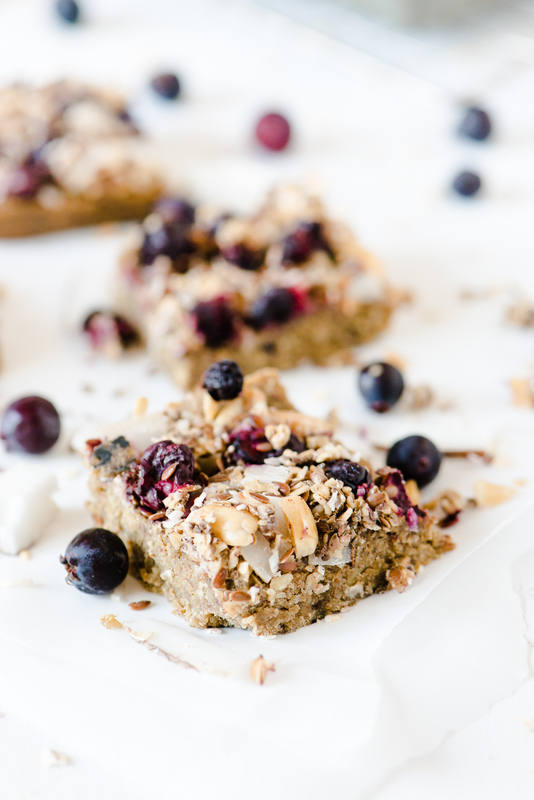 For the topping, I substituted in peanuts, chia seeds, flax, and local Saskatoon berries instead of blueberries. I was a little disappointed we didn’t have pumpkin seeds on hand – mainly for aesthetics as they would be great in contrast to the berries! Despite this, I have to say the bars turned out quite well. Overall, after a little taste test, I have to say they were much what I expected. They were hearty, filling, and definitely something that would be great for a quick breakfast on a busy morning.